Thanks to your feedback, Swimia has grow to be in just many months one the most important internet sites of swimming pools. 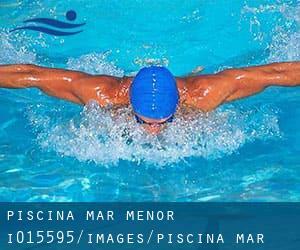 Here you've got all of the info we know about Piscina Mar Menor, in Murcia. Don't neglect you can also promote this pool so Piscina Mar Menor will appear the very first of Murcia, or even the first of your country, contact us to know a lot more. Swimmers like you reported 25 meters x 12 meters, 6 lanes, 1.8 meters - 2.5 meters depth, 1.8 meters - 2.5 meters depth, Indoors. Unfortunately we do not have the e-mail address of this Swimming Pool, but we can give you the phone number. Updated on 2019 AVD. DON JUAN DE BORBON, 1 30007 - MURCIA , . Updated on 2019 URB. LADERA - C/ DIAGONAL, 19 30110 - CHURRA (MURCIA) , . Updated on 2019 CARRETERA SANTA CATALINA, 42 30152 (MURCIA) , . Updated on 2019 DERECHOS HUMANOS,6 6ºA 30003 - MURCIA , . Calle Polideportivo, s/n , El Palmar , Spain (Postal Code: 30120). This sports center delivers 25 meters, 6 lanes, Outdoors. For this Swimming Pool, only phone number is number here. Updated on 2019 NICOLAS DE LAS PEÑAS, S/N 30008 - MURCIA , . Updated on 2019 PAMPLONA, 6 1ºB 30100 - ESPINARDO (MURCIA) , . Updated on 2019 Avenida de la Marina Española, 10 , Murcia , Spain (Postal Code: 30007). Among all the activities offered by the center, if you are considering swimming you may enjoy 25 meters x 16.67 meters, 8 lanes, Non-Chlorine Sanitized, Indoors. Just in case you want to contact this Swimming Pool prior to dropping by, we only know the phone number. Updated on 2019 PUERTA DE ORIHUELA,2 4º I 30003 , . Calle Aljada, s/n , Puente Tocinos , Murcia , Spain (Postal Code: 30006). Swimmers like you reported 25 meters x 12.5 meters, Indoors. Unfortunately we do not have the e-mail address of this Pool, but we can give you the phone number. Calle Lope de Rueda, 10 , Infante Juan Manuel , Murcia , Spain (Postal Code: 30011). Among all the activities offered by the center, when you are interested in swimming you can appreciate 25 meters x 12.5 meters, Indoors. Just in case you want to make contact with this Pool before dropping by, we only know the phone number. Updated on 2019 REVERENDO JOSE MANUEL LORCA,38 30100 - ESPINARDO (MURCIA) , . Avenida Juan Carlos I , Espinardo , Spain (Postal Code: 30100). Among all the activities offered by the center, if you are interested in swimming you may enjoy 25 meters x 12 meters, Indoor/Outdoor. Just in case you desire to make contact with this Swimming Pool prior to dropping by, we only know the phone number.